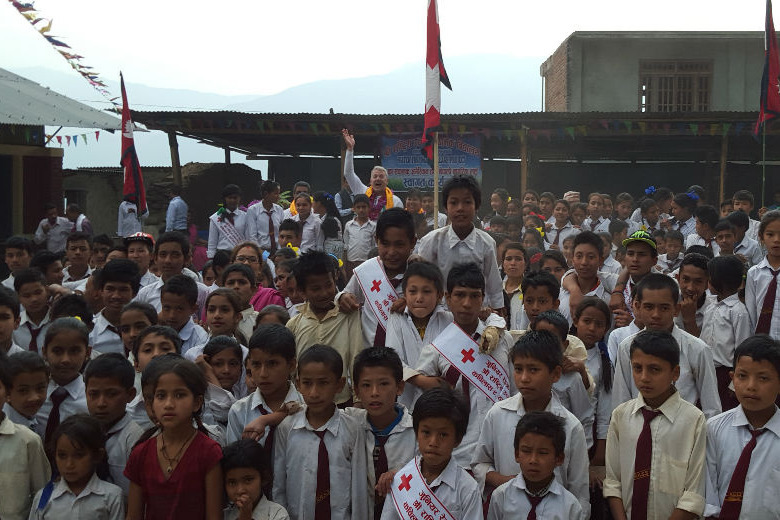 The people in Nuwakot District, Nepal are in need of clean drinking water. This campaign will help fund the purchase and delivery of (30) 5 gallon LIFESAVER Jerrycan water filters to people clean drinking water in the region. Each filter will provide 20,000 liters of filtered water for a family in the village. We have arranged for duty free import to Kathmandu and on November 1, 2018 we will hand deliver the filters to the people in the villages of Kabilash and Aapchour. Nepal 2018 Water Project Children at school in Kabilash, Nepal.